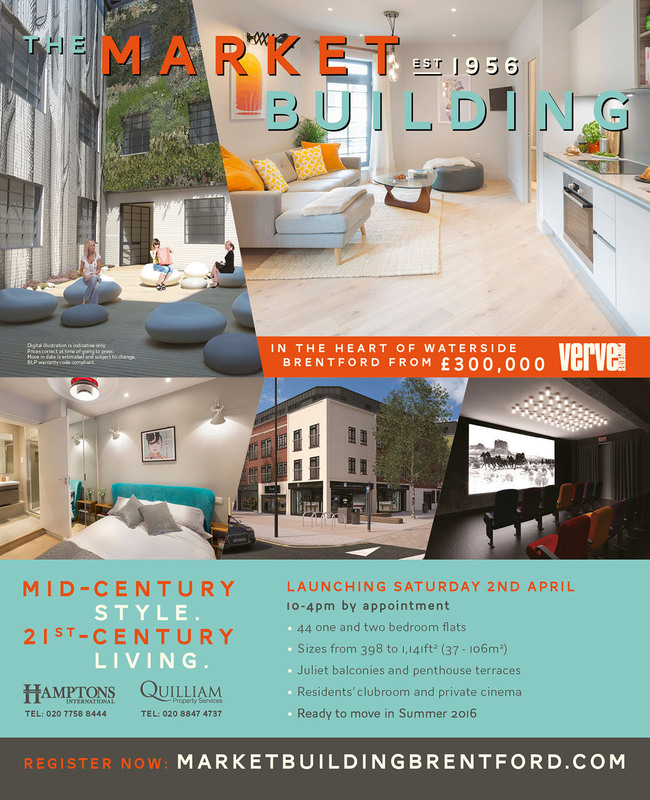 After working with Verve Properties on Hunt’s Paper Factory, we were delighted to be invited back to help with the marketing campaign for Verve’s latest project, redeveloping a 1950s London block in up-and-coming Brentford into stylish, affordable housing. 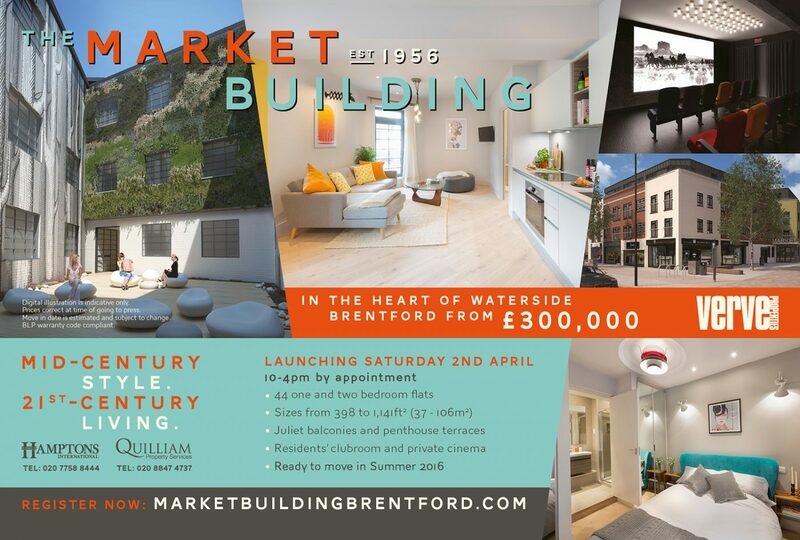 The imposing building was stripped back and a lot of the original features restored, including re-instating the historical name, The Market Building. 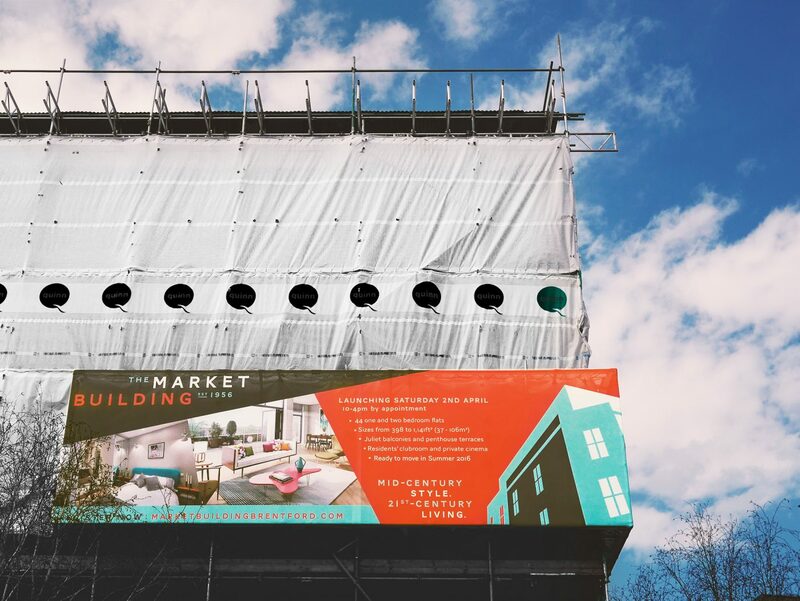 The campaign called for a suite of creative materials including a brochure, website, press advertising and design of construction hoardings. 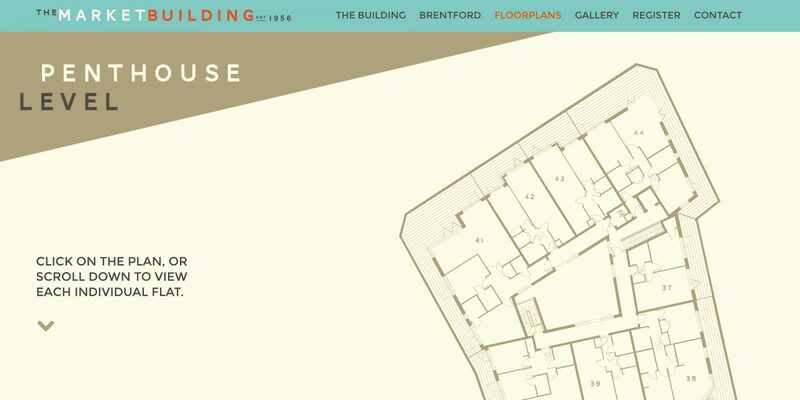 Inspired by the building’s 1950s origins, we created a retro Mid Century style of illustration for the brand identity. 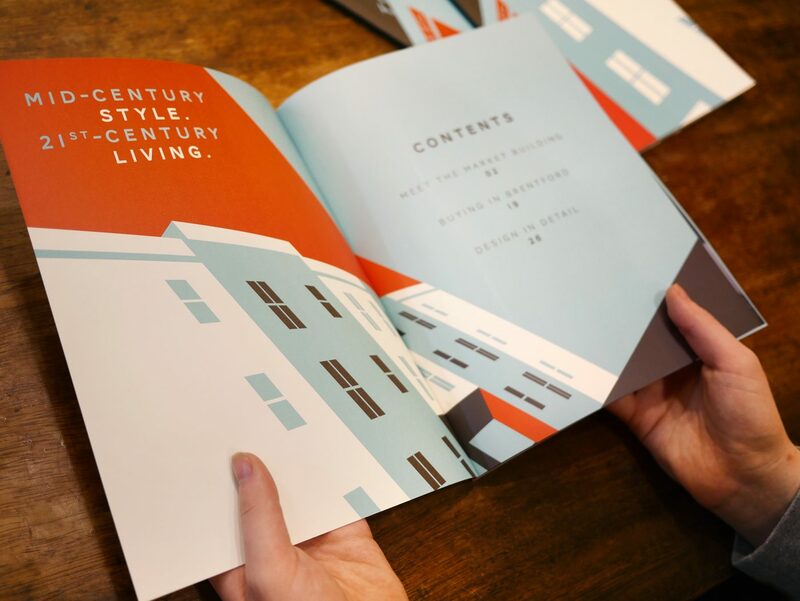 Central to the promotional materials was a luxurious 44 page brochure showcasing a bold use of colour and strong graphical shapes which ran throughout all materials created for the campaign. 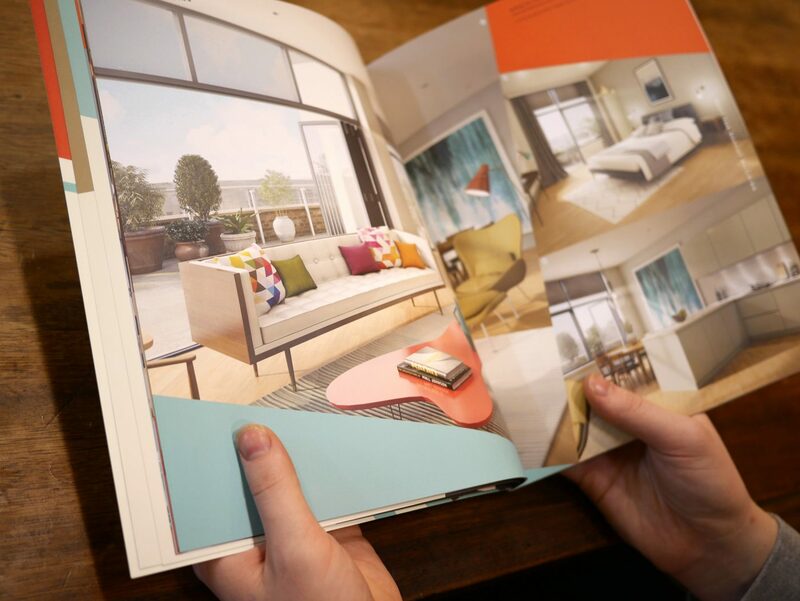 The brochure was printed using highly tactile paper stocks, making it a pleasure to leaf through. 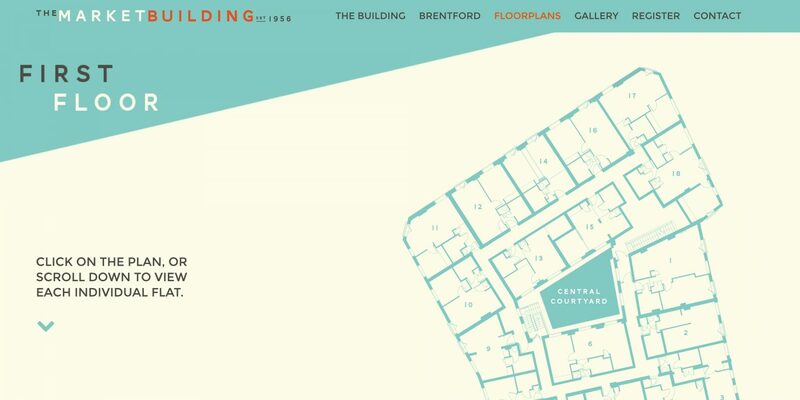 Within the brochure, we designed and illustrated a stylised fold out map of Brentford, showcasing local area highlight with useful information and transport links. 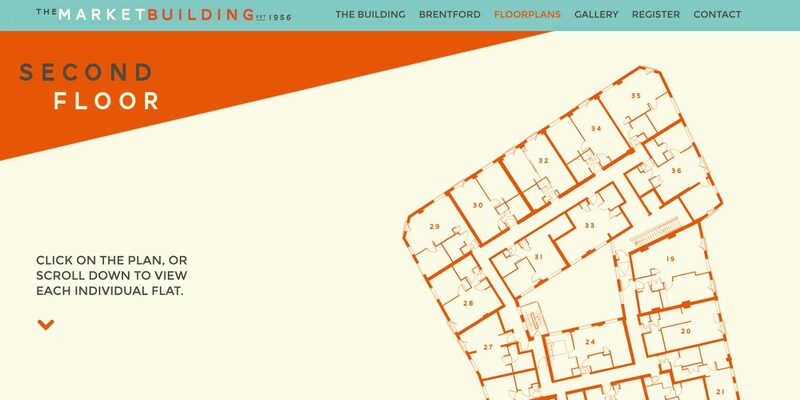 A zoomed-in supplementary On Your Doorstep version of the map explored things to do and see in the immediate neighbourhood for potential new residents. 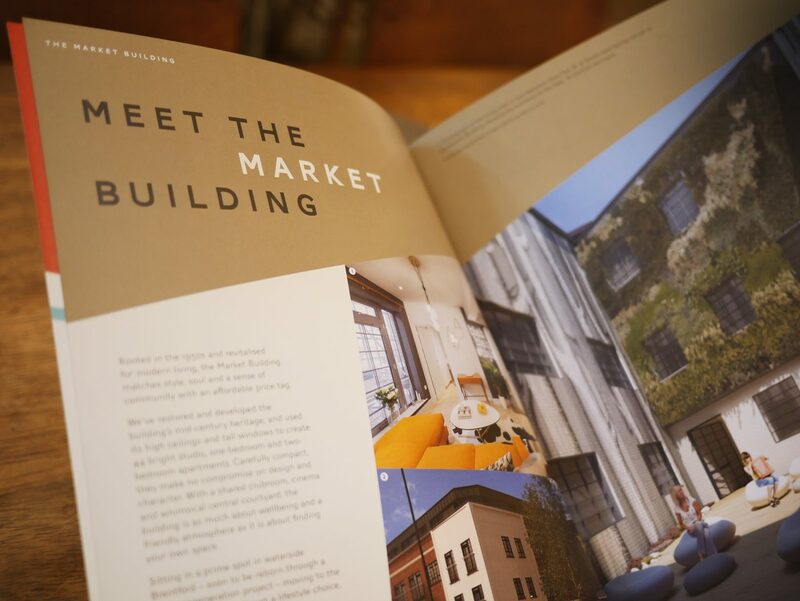 We then moved onto the design and build of a responsive website which brought the content of the brochure to life in a dynamic way. 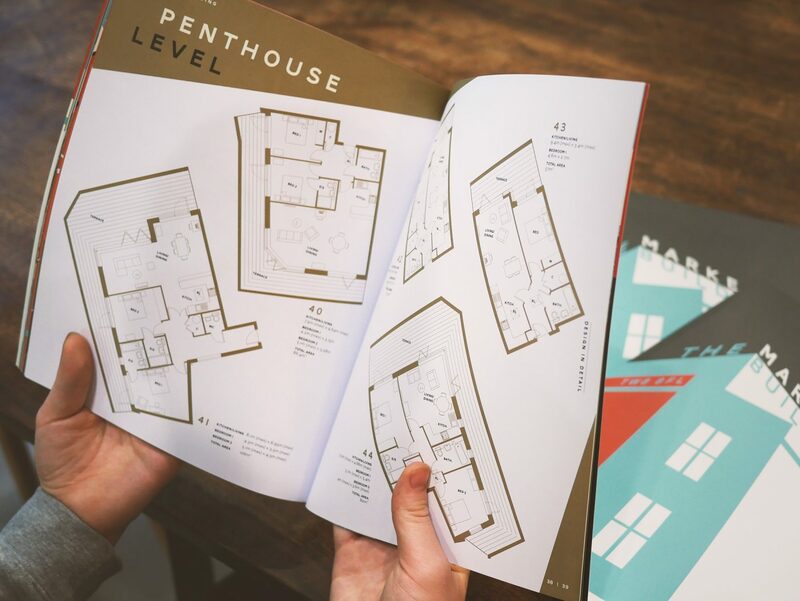 It included detailed views of each individual apartment floor plan available, our illustrative maps, a film about the building and a simple web-form for people to register their interest. Which lots of people did. 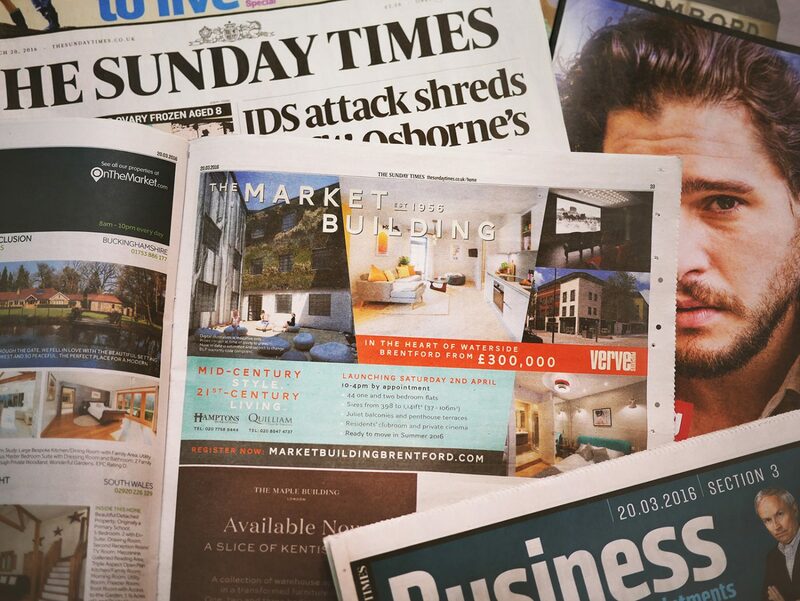 We worked closely with Verve’s media team to design a national press campaign to drive traffic to the website, creating adverts in The Sunday Times, The Evening Standard and The Metro. 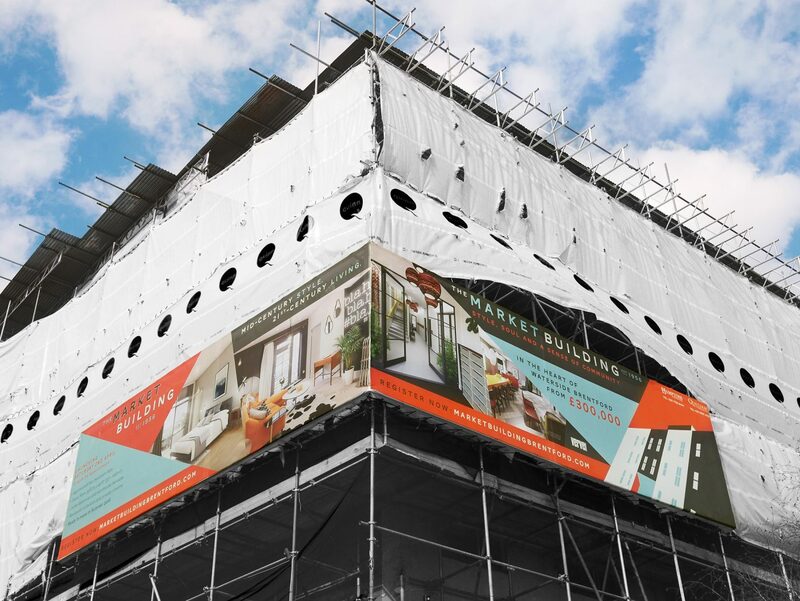 We designed 15 metre wide hoardings to wrap around the building pre-launch day, to attract extra drive-by traffic. The main entrance was also given a brand makeover to greet people coming to the open day. The Results: 37 out of 44 were sold on the launch day, with the rest following shortly after. Happy client. Happy design team. 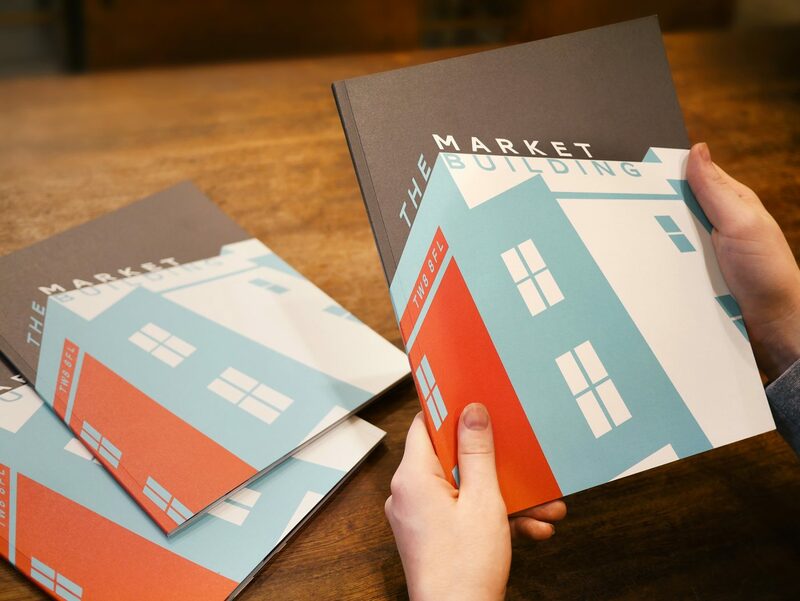 The Market Building from Verve Properties. 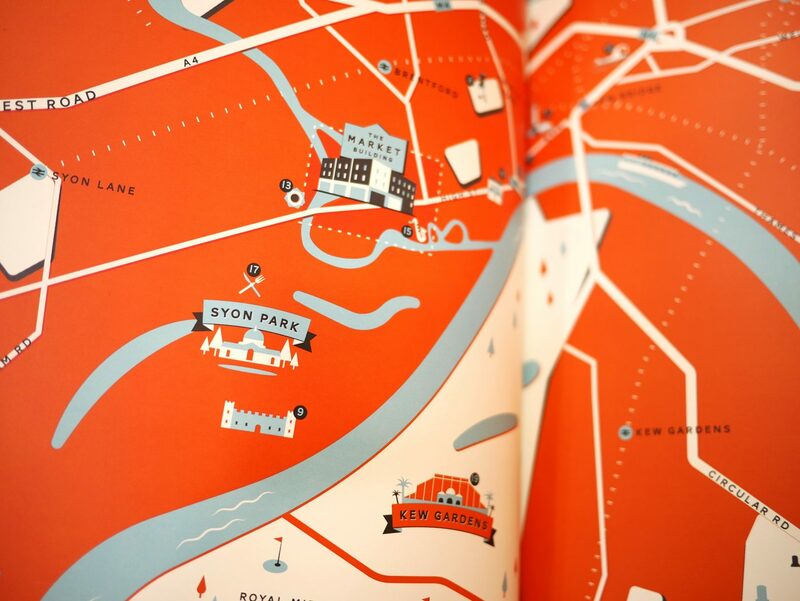 Graphic Design & Web Design by Run For The Hills. Interior Design by Trunk Creative. A LITTLE BIT OF DABBAWAL, OK PLEASE!